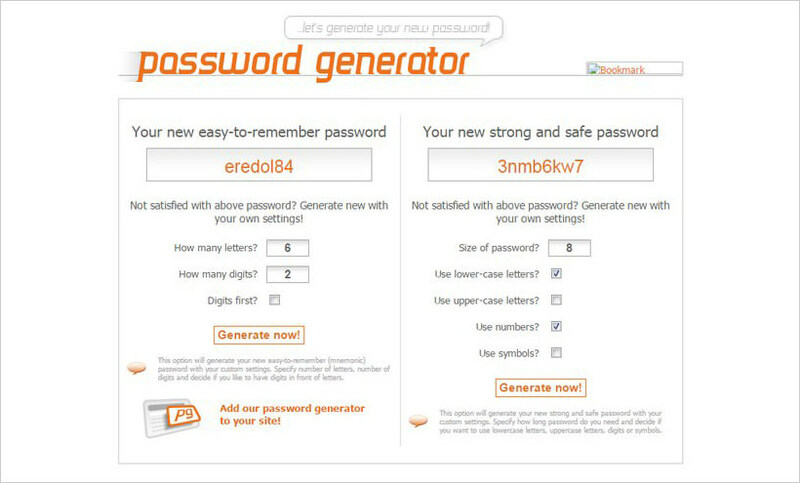 By Hongkiat Lim in Internet. 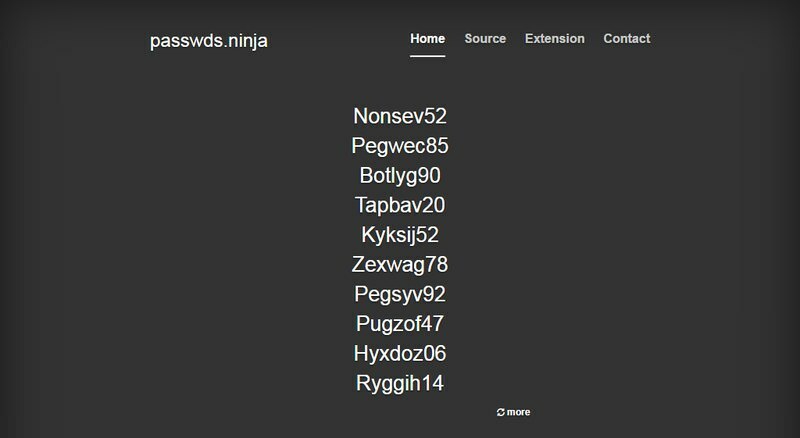 Updated on September 5, 2018 . 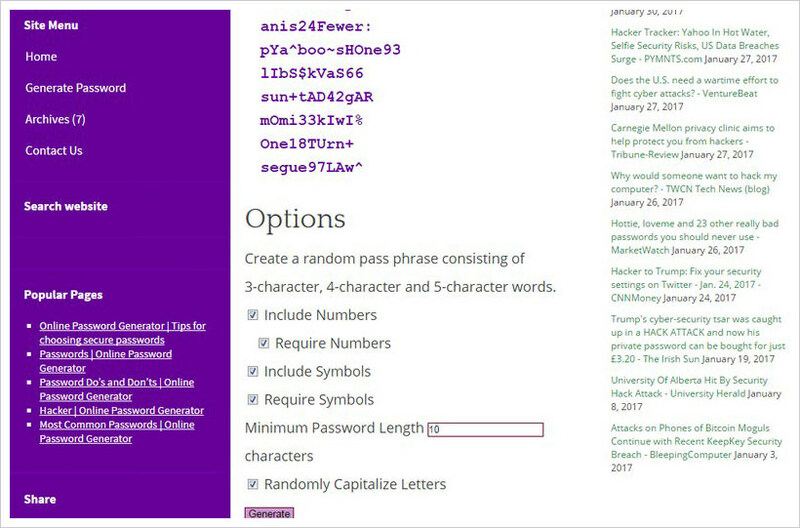 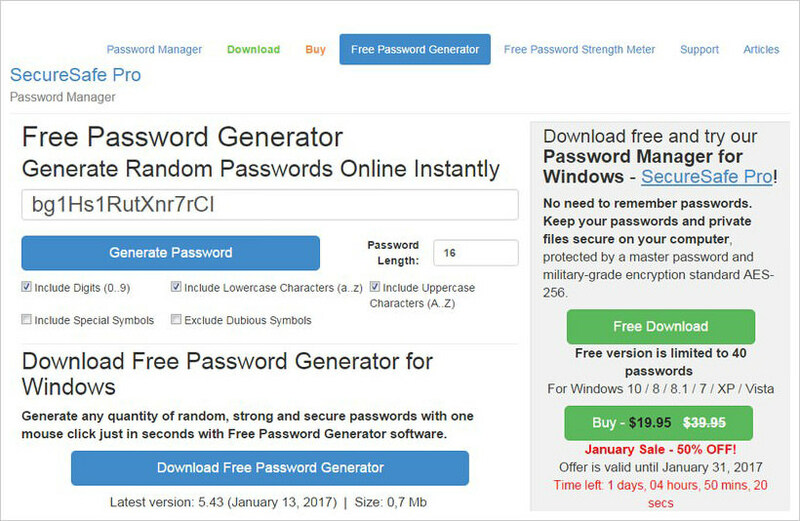 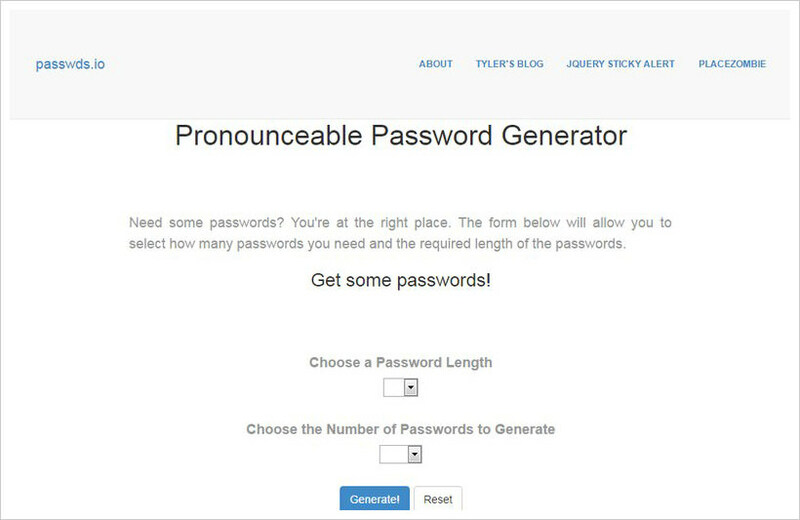 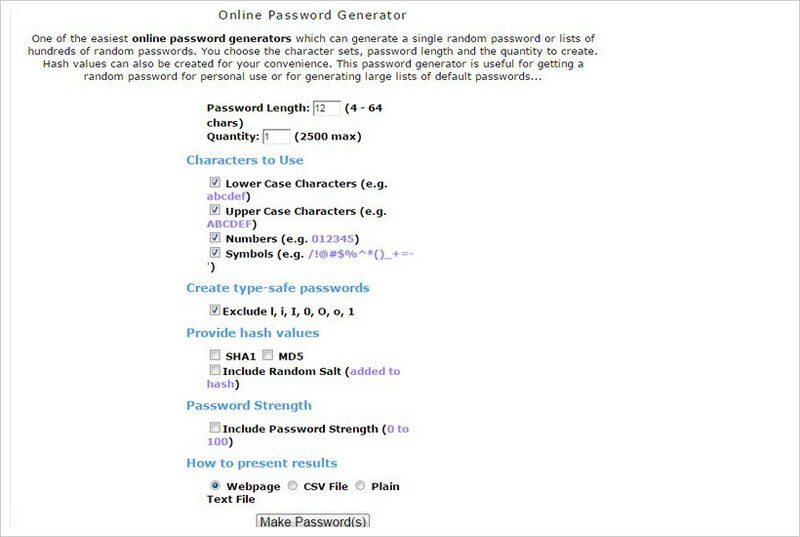 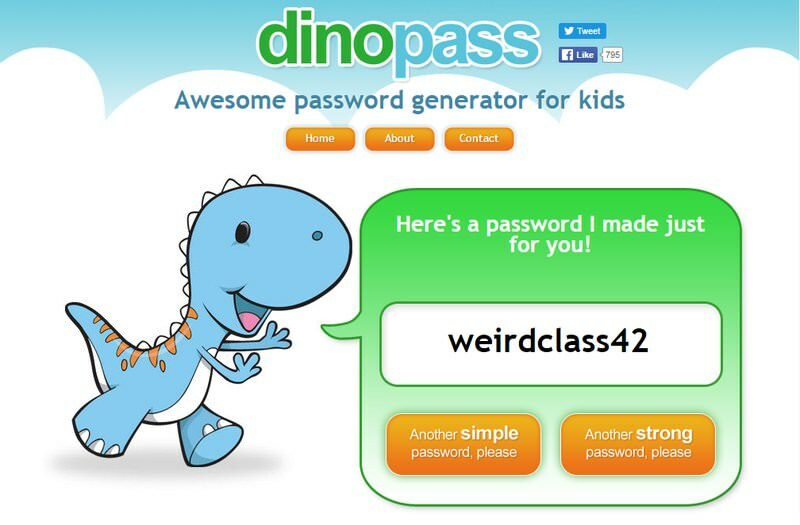 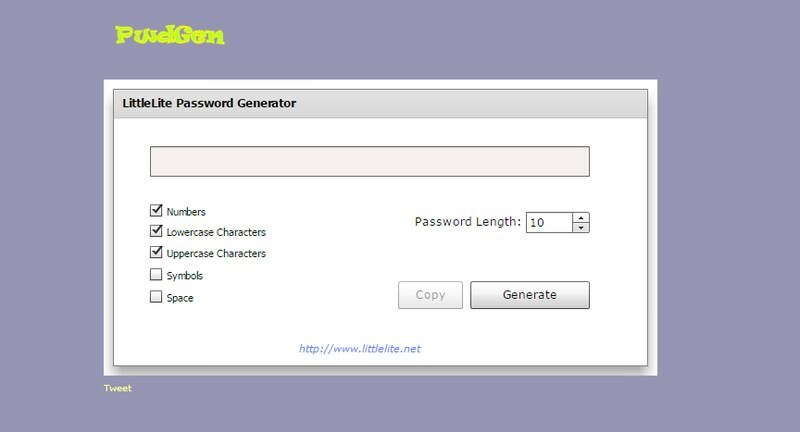 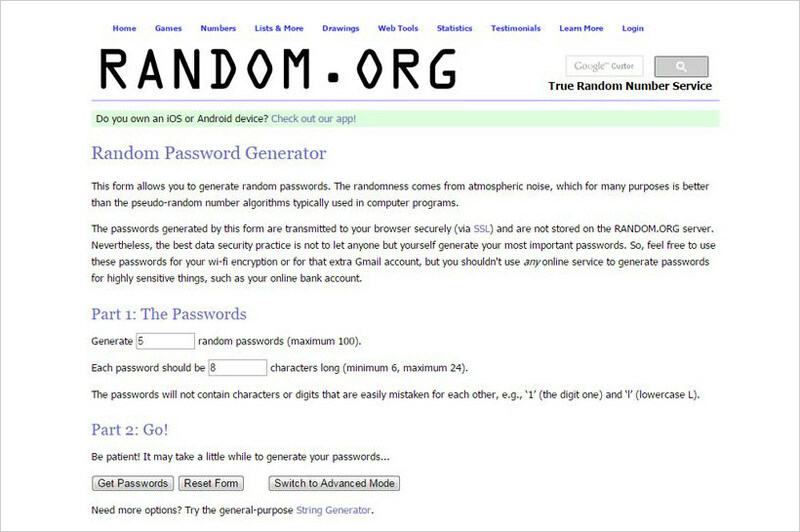 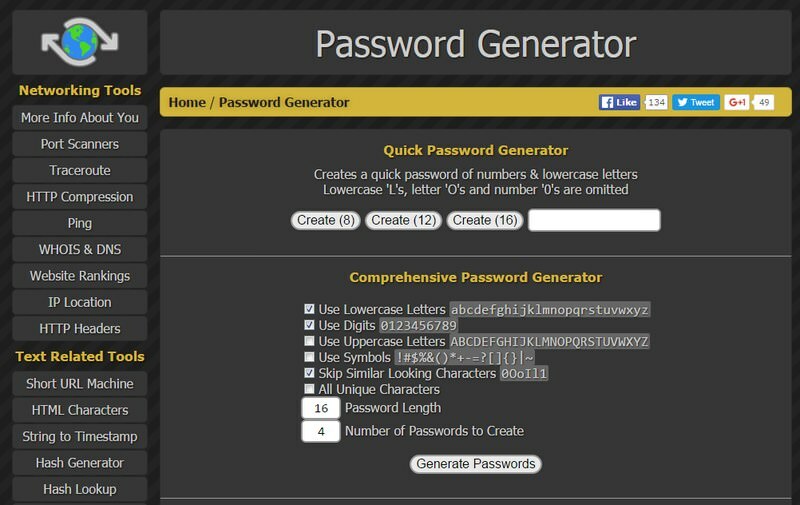 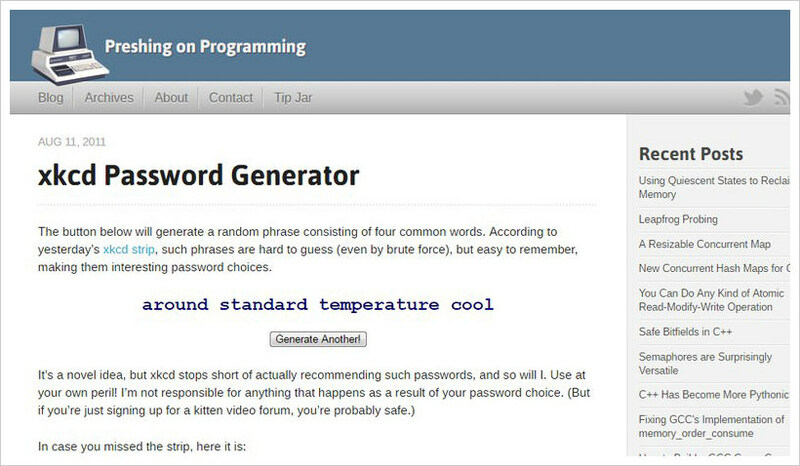 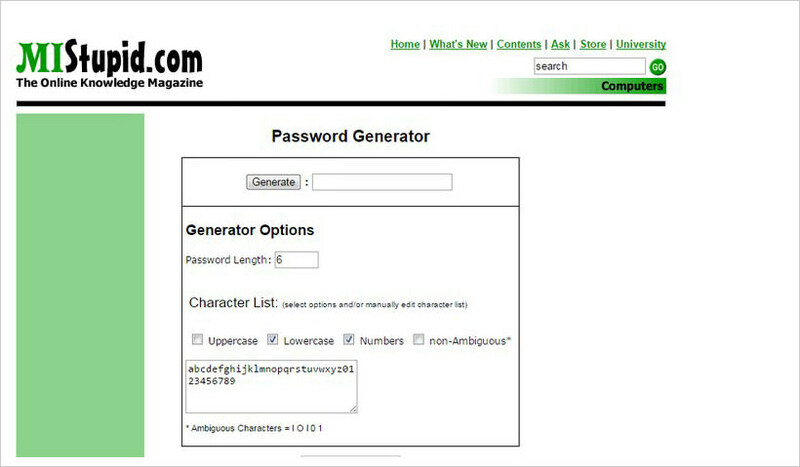 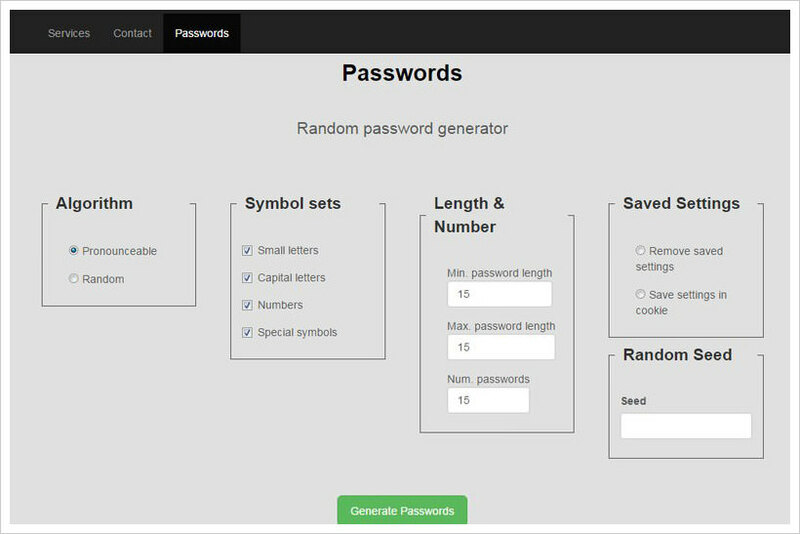 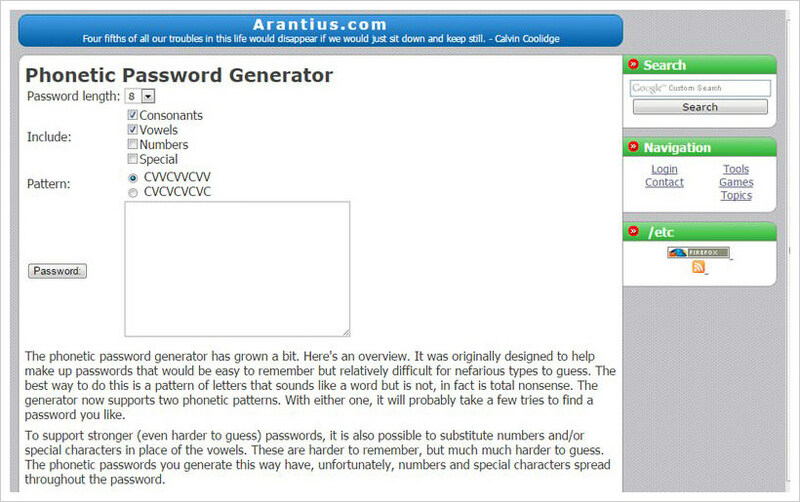 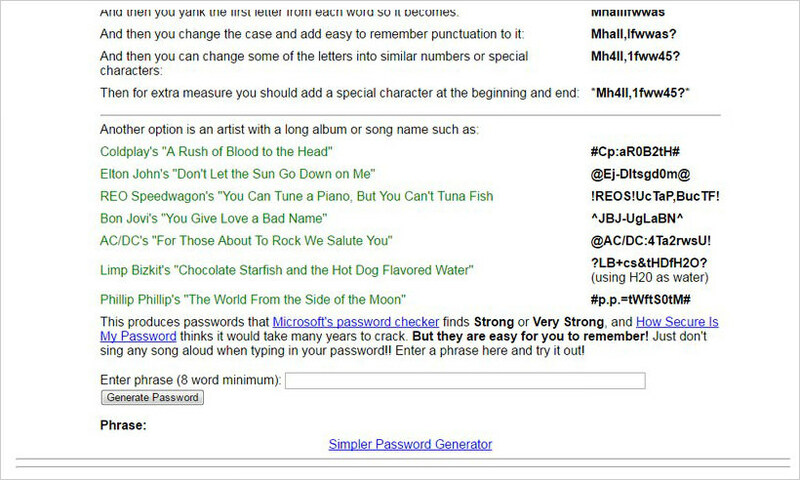 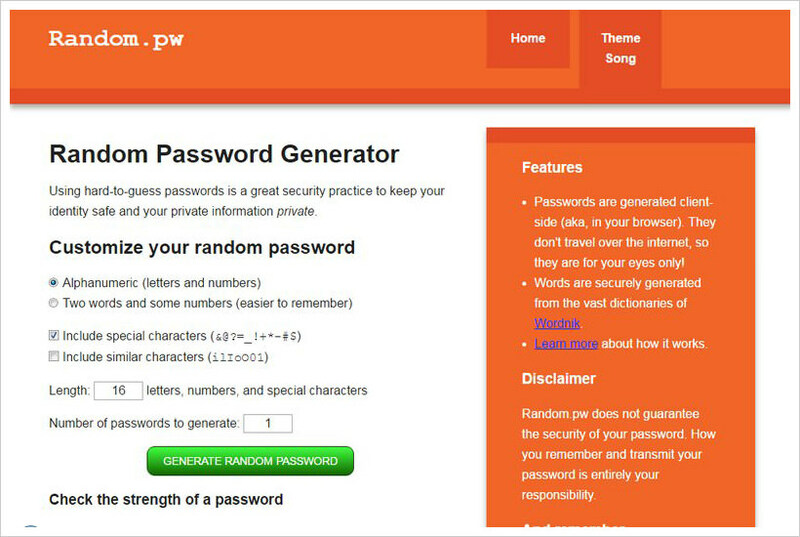 The popular IP address checking tool also has an extensive password generator. 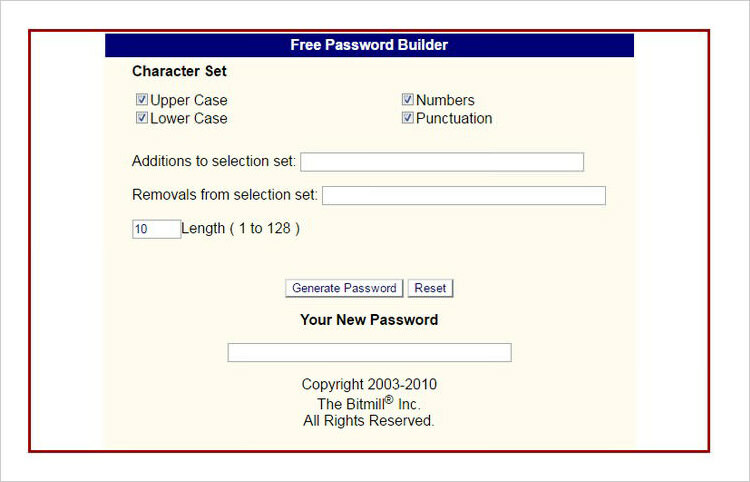 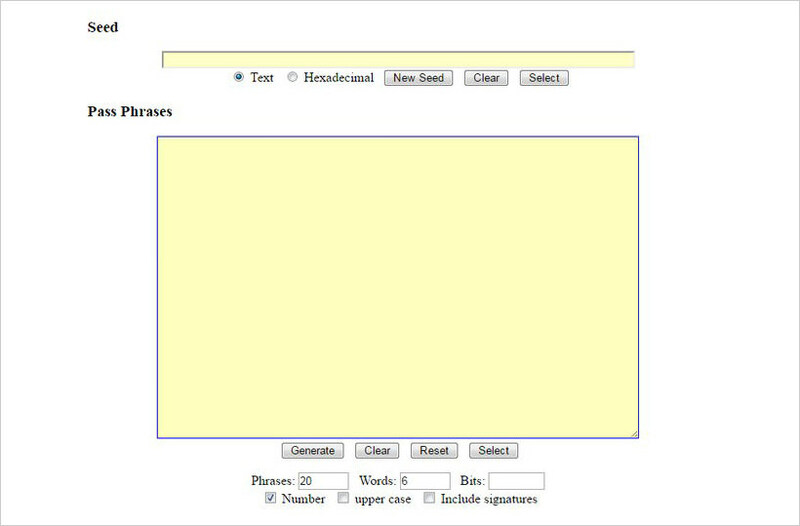 You can use letters, numbers, adjust case, use special characters, similar characters and adjust password length. 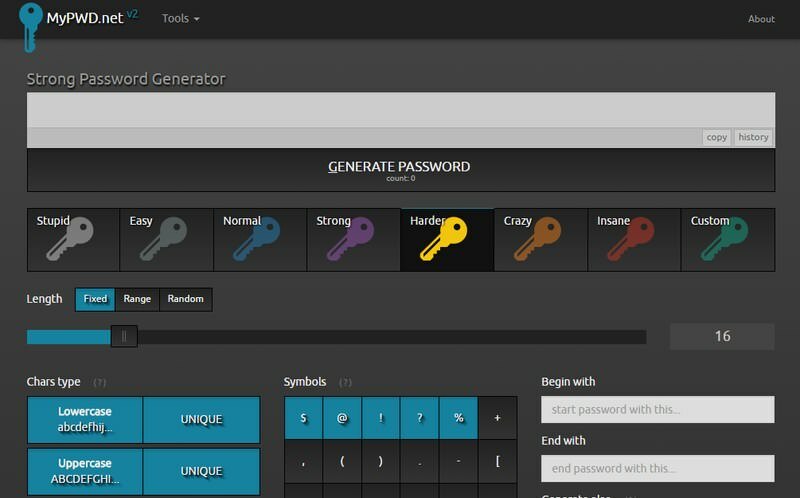 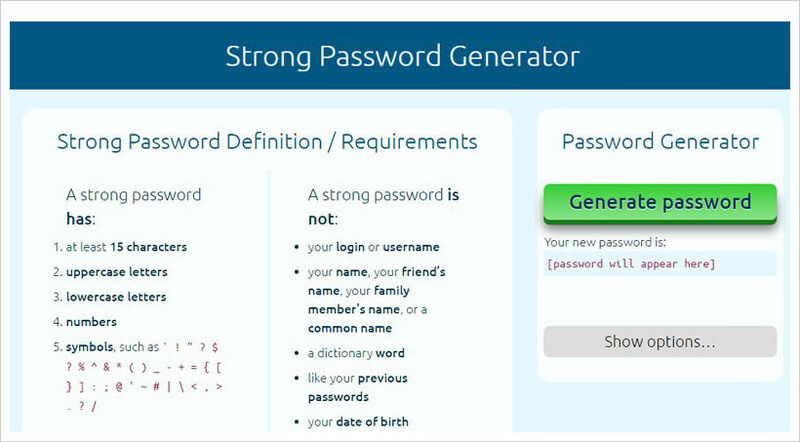 You can generate up to 999 passwords at a time, and there is an "All Unique Characters" option to don’t repeat characters in a password. 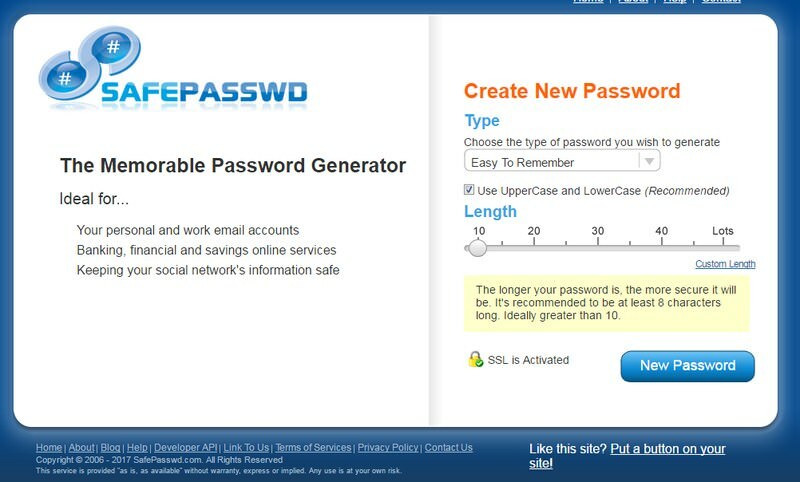 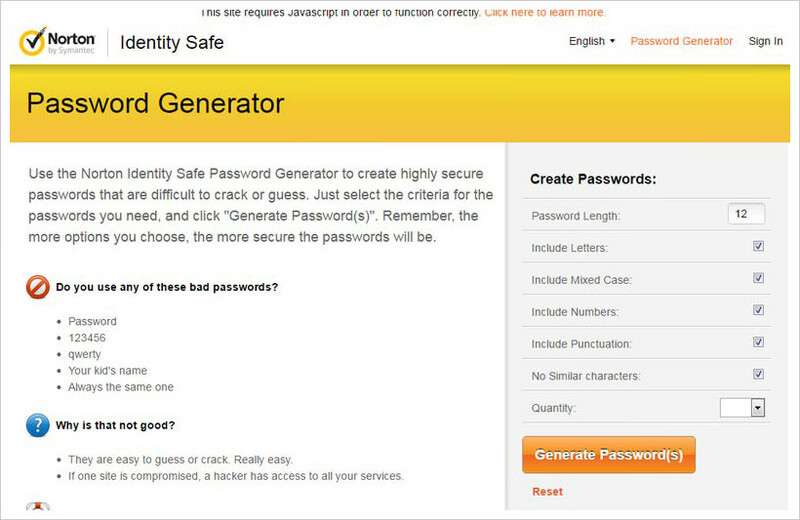 This offering by SecureSafe Pro offers all the options to create a strong password. 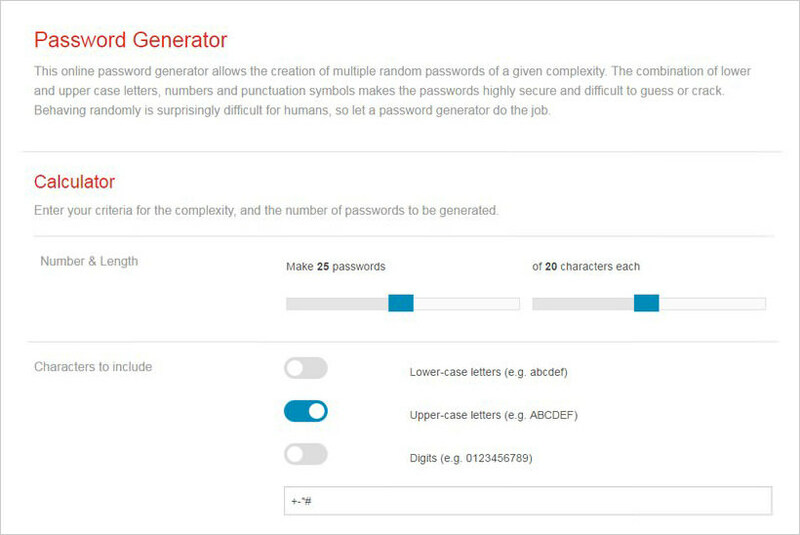 However, there is an option of "Exclude Dubious Symbols" to omit all the common special characters that are easy to guess.